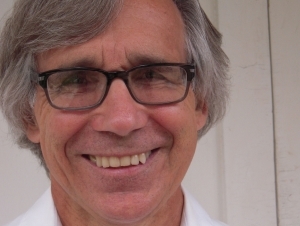 David Hursh, author of The End of Public Schools: The Corporate Reform Agenda to Privatize Education, is speaking at the auditorium at the Burchfield Penney Art Center on Tuesday, February 2, at 4:30 p.m. Hursh is professor of teaching and curriculum at the University of Rochester. Hursh has written extensively about contemporary trends in public education such as Common Core and the opt-out movement. In The End of Public Schools, Hursh argues that a movement led by corporations and non-government organizations such as the Gates Foundation is seeking to privatize education. In an interview with Karen Dewitt, capitol bureau chief for New York State Public Radio, Hursh said that public money is going to charter schools that are not accountable to the public. He also raised concerns about who is making policy decisions that determine what education is about, whom it is for, and how it is carried out. In addition to numerous articles and book chapters, Hursh wrote High-Stakes Testing and the Decline of Teaching and Learning: The Real Crisis in Education. Hursh is just one of a number of education specialists who are concerned that publicly funded and publicly run education in the United States is threatened by corporate interests. The presentation, which is free and open to the public, is sponsored by the Buffalo State School of Education and the University at Buffalo Graduate School.